How it works – Repels water. 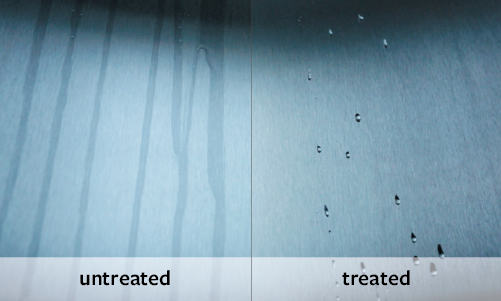 Protects against staining and etching. 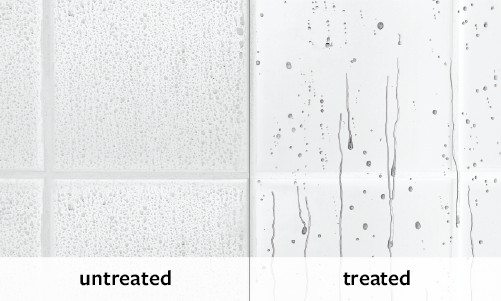 Surfaces stay cleaner for longer. Imagine if all high traffic surfaces in your home were non-stick. 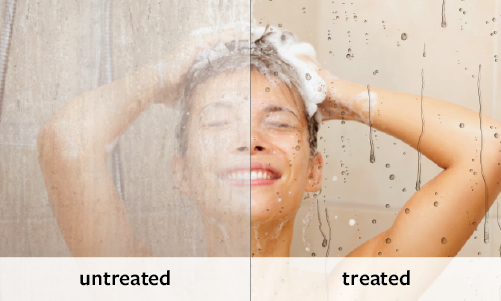 No more scrubbing and no toxic chemicals; look after all your cleaning needs in one simple application. 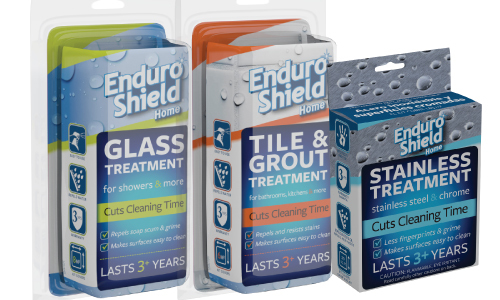 EnduroShield is a revolutionary easy clean coating that creates an ultra-long lasting invisible shield on all glass, ceramic or porcelain tile, grout, stainless steel, and chrome surfaces. Our product is very user friendly and is applied in just two simple steps. 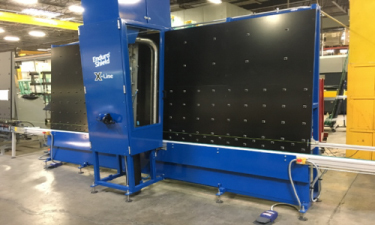 This is how it works – the coating is a clear liquid that is sprayed onto the surface and polished in, creating a permanent* non-stick barrier that is both water and oil repellent, and resistant to corrosion, etching and staining. * Based on 10 years of simulated normal use and certified by TÜV Rheinland, Germany. 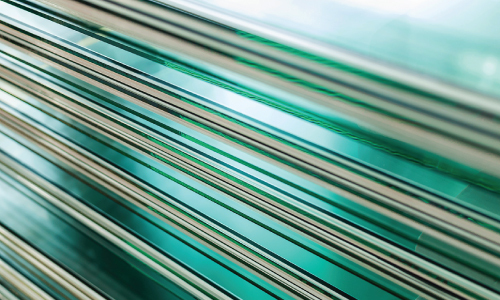 We are proud to be at the forefront of coatings technology, making ordinary surfaces easy-clean and non-stick. 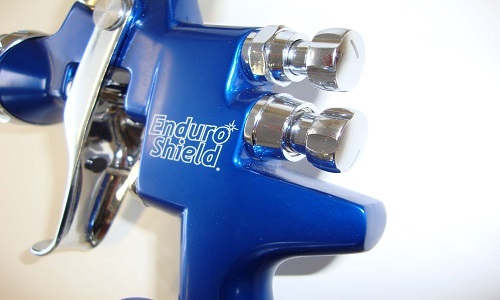 EnduroShield is not a traditional treatment that simply sits on top of the surface, but instead permanently* bonds to the surface, meaning that EnduroShield is so durable it does not require any revitalizer products for upkeep and can only be removed by abrasion or strong acids and alkalis. 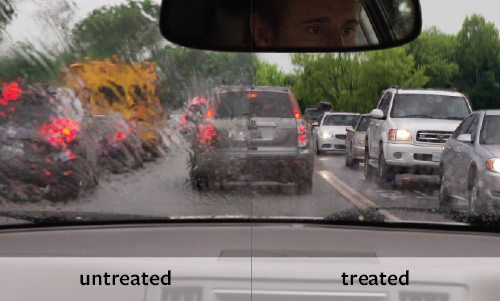 Surfaces treated with EnduroShield have a protective barrier whereby water and contaminants are prevented from soaking in and will instead bead up on top of the coating. We hold ourselves to a true performance warranty backed by one of the world’s leading independent testing and certification houses, TÜV Rheinland in Germany. 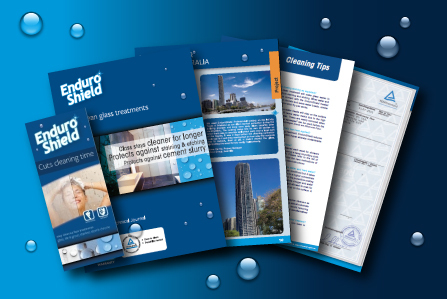 *Based on 10 years of simulated normal use EnduroShield has been tested for durability, easy-clean functionality, safety and quality. 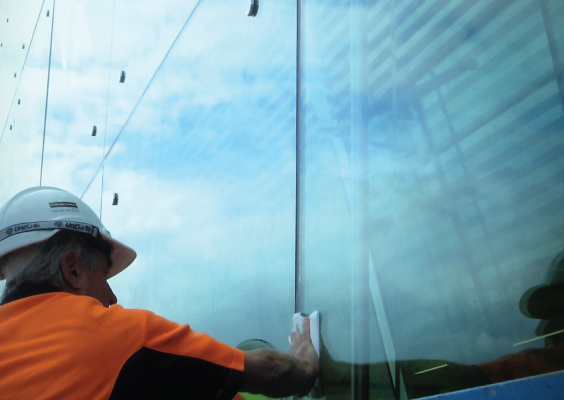 Request EnduroShield professional strength treatment be applied by the factory to your glass or professionally applied by our trained and certified applicators onsite to glass, tiles and stainless steel surfaces with up to 10 years warranty. 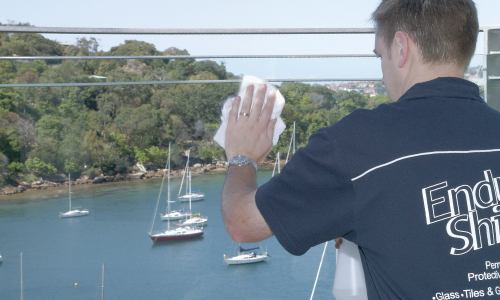 The consumer strength Do-It-Yourself coating range is easy to apply; simply spray on and wipe into a clean surface. Everything you need is contained within a convenient DIY kit, complete with a 3 year warranty. Our team would love to help you with any questions you may have.